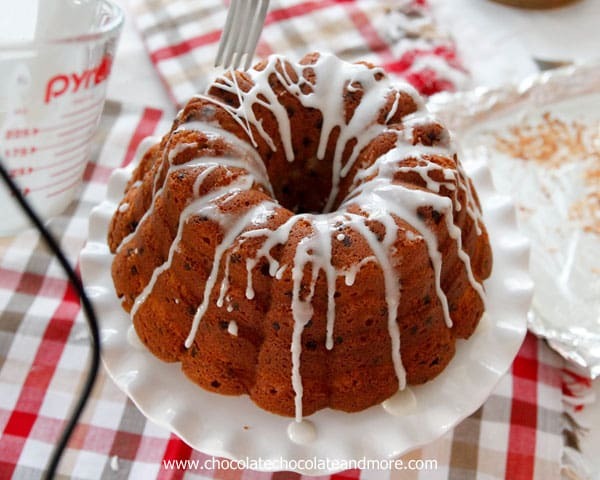 Chocolate Chip Coconut Bundt Cake - Chocolate Chocolate and More! 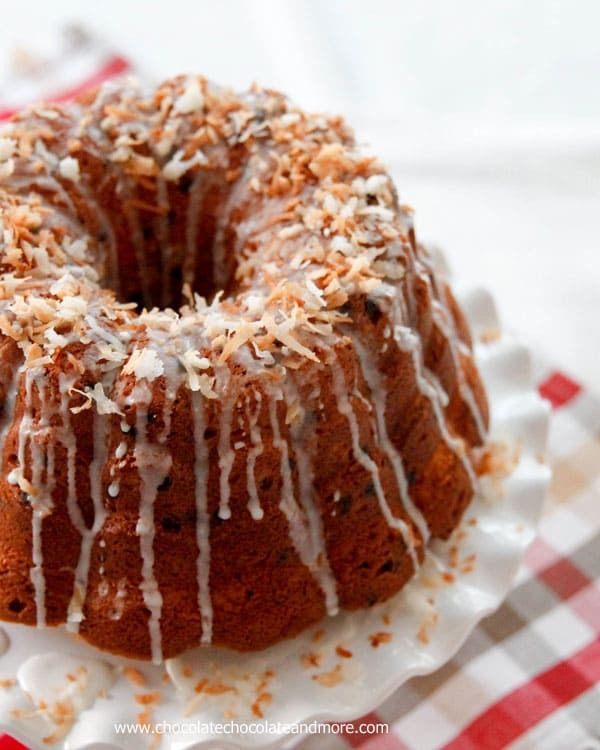 Chocolate Chip Coconut Bundt Cake-Bursting with mini chocolate chips, combined with sweet flaked coconut then topped with a simple glaze and toasted coconut. So…I’ve been working on this one recipe. I’ve been trying to replicate a cookie I had on vacation. It’s a Coconut cookie recipe. I think I’m close. I’ve got one more batch of cookie dough in the fridge, just to make sure. But I’ve made these cookies (or what I keep hoping will be THE cookie) at least 8 times. It’s a lot of cookies. I needed to step away from the cookie sheet. And I wanted a success. And Coconut. And easy. 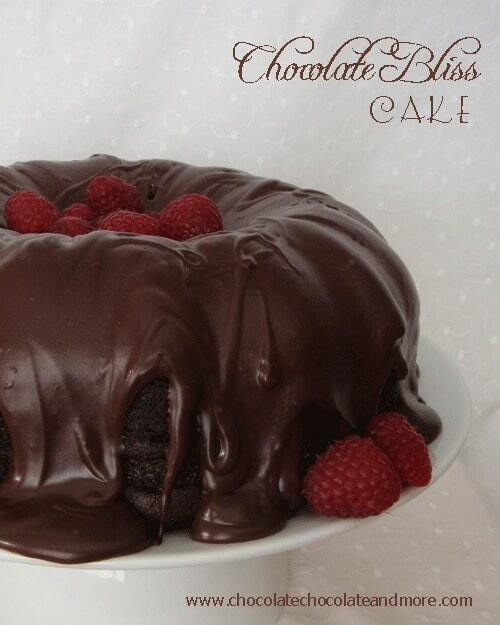 You can’t beat a Bundt Cake. Mix up your batter, pour (or spoon) it in the pan,. Bake it. And perfection, every time. As long as you grease your pan well. I’ve got 5 different Bundt Pans . Some of them, I know my cake will release, every single time. I have one pan, I love the pattern, but it’s a crap shoot whether all my cake will come out in one piece. It’s too intricate. This is one of my favorite pans. Never gives me any trouble. Makes a nice tall cake. And some toasted coconut. Perfection. 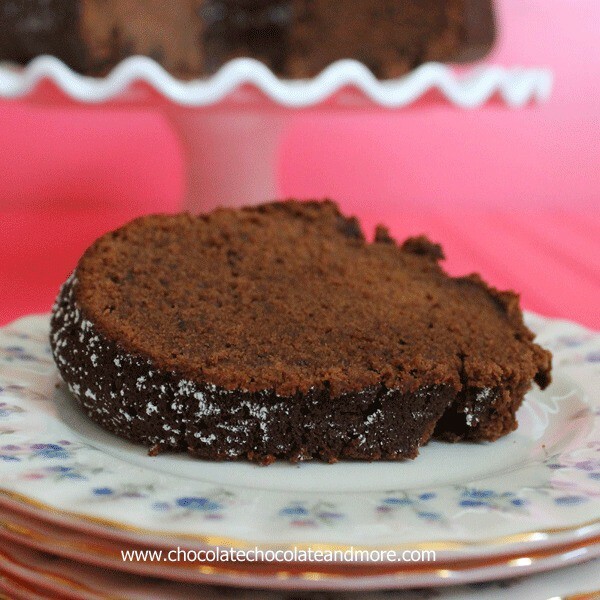 Little bursts of chocolate, lots of sweet coconut flavor. Cream butter, in a large mixing bowl until light and fluffy. Add in cream cheese and beat again until almost white in color. Add sugar and beat well. Add in eggs, one at a time, beating well after each addition. Add in vanilla extract and beat again. Combine flour, baking soda and salt. Alternating, add flour mixture and buttermilk, starting and ending with flour, just until completely combined. Spoon batter (it will be thick) into a greased and floured 10 inch bundt pan. Bake in a preheated 325 degree oven for 70-80 minutes, using a toothpick to test for doneness. Let cake rest in pan for 30 minutes before inverting on to a cooling rack to cool completely. Stir together powdered sugar and 2 tablespoons milk until smooth and no lumps. Add more milk if needed to drizzling consistency. Toast coconut by spreading out on a foil lined baking sheet then placing in a 350 degree oven for 7-10 minutes, just until golden. Let cool before using. Drizzle cake with glaze then sprinkle with cooled coconut. Thanks so much for including my Bacardi Rum Cake in this fabulous collection of bundt cakes! Joan, this cake is so awesome! 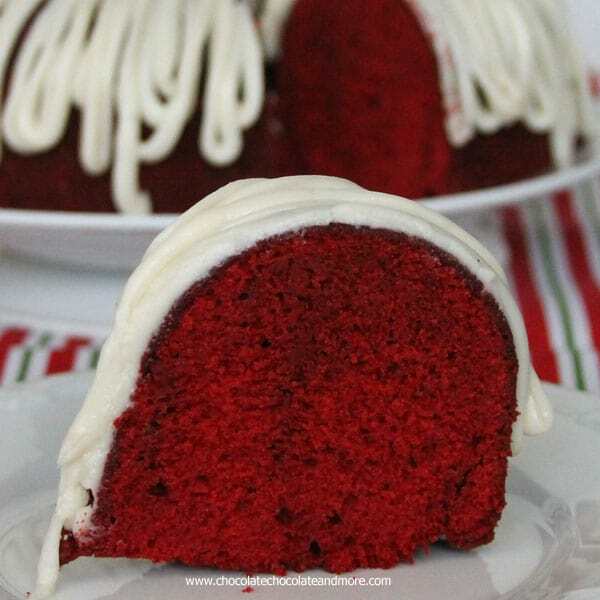 What a lovely bundt pan, but I see what you are saying g about the cake releasing! I cover my pan in grease and flour all the time! This cake is too cute and the recipe sounds delicious! This cake is SO pretty Joan! And 8 tries? I would have totally given up! I love bundt cakes Joan! there is just something so pretty and elegant about them. And, I love the coconut! I’m definitely a coconut girl. Pinned! 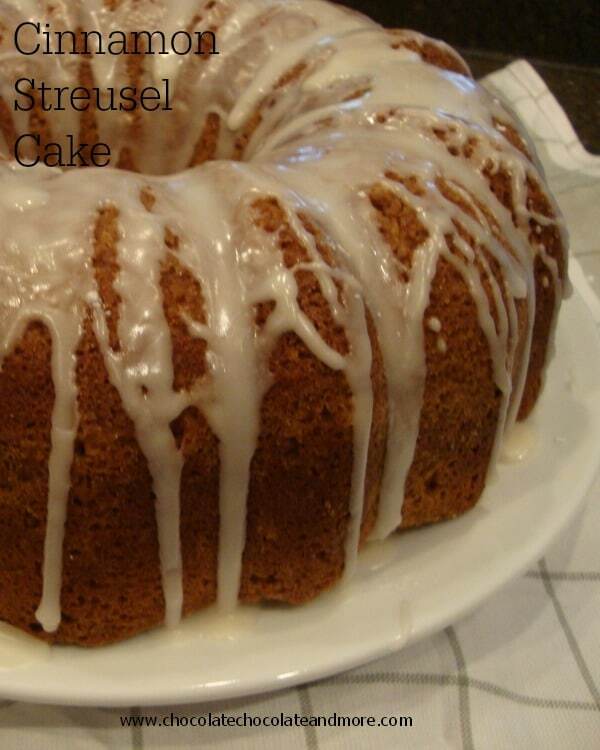 Also, thanks for the shout-out on my Apple Cream Cheese Bundt Cake!! 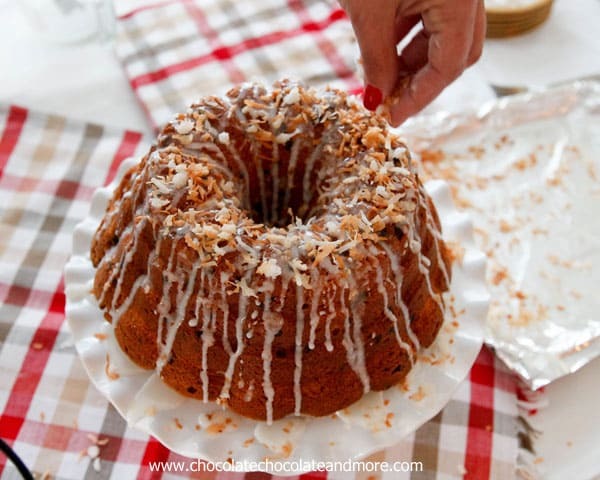 I love combining coconut and chocolate – never tried it in a bundt cake though! 🙂 Gotta try it! Sharing to my FB page too! Coconut and Chocolate are a match made in heaven! Is this recipe written correctly and there is no sugar in the cake? Thanks so much for catching that. Yes there is sugar in the cake recipe. I’ve corrected it. Ty! I made the cake yesterday without the sugar and we (my diabetic husband and I ) actually liked it that way although next time I will add about 3/4 sugar. My family loves coconut! I can’t wait to try this! I would love for you to share at this weeks Happiness Is Homemade Link Party! Happy Easter! 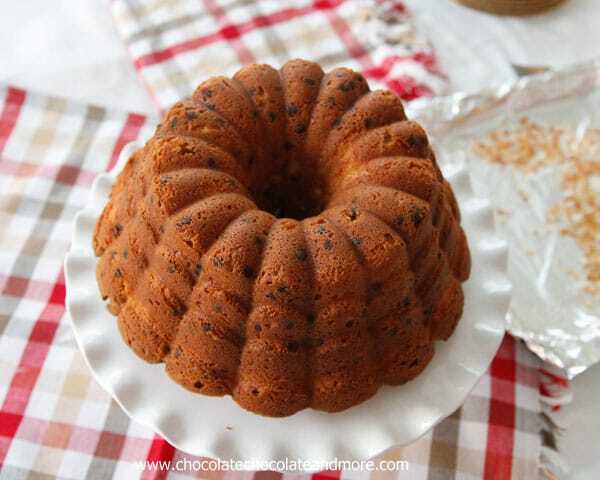 How’d you make it so that the chocolate chips stay afloat in the cake? Every time I try to make a chocolate chip cake, they end up sinking. 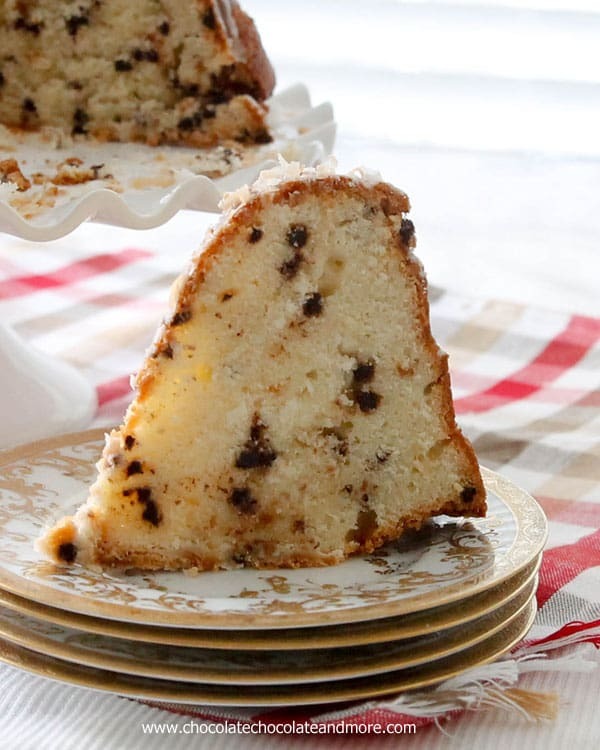 This is a thicker batter cake so the chocolate chips won’t sink. 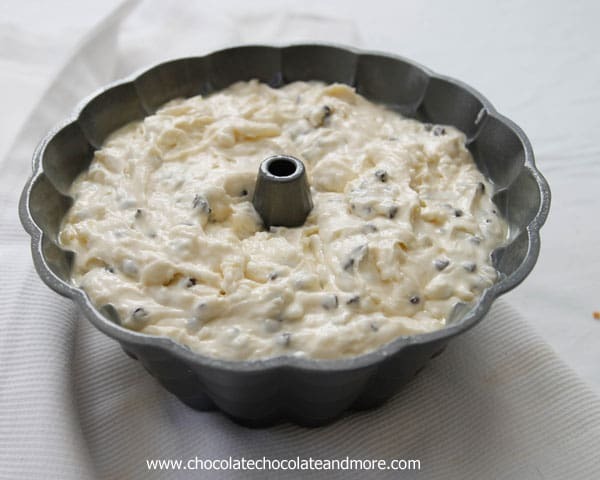 With other cakes, (with a thin batter) sometimes you have to add the chocolate chips as you are placing the batter into your pan, layering, to get an even distribution.